Please find below a press release and report, published today by the Centre for Research on Multinational Corporations (SOMO), investigating conditions in the Myanmar garment industry. The report finds worrying conditions at factories in Myanmar supplying UK brands such as New Look, as well as other familiar high street brands such as H&M. Workers endure low wages and excessive overtime which is sometimes forced or unpaid. Factories believed to be supplying UK brands were also found to employ child labourers. Nicola Round, Campaigns Manager at the UK-based organisation Labour Behind the Label, said: “None of us want to find that our clothes have been made by children, but sadly that is what is happening in factories supplying our high street brands. 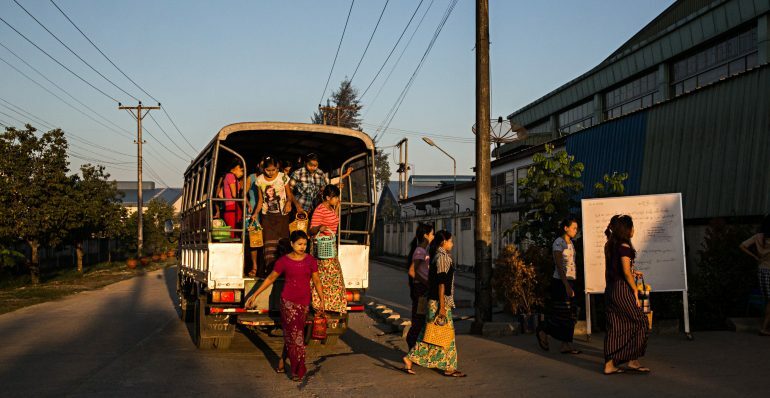 “UK fashion brands are among the European companies rushing to invest in Myanmar, made more attractive now with the lifting of sanctions and the availability of cheap labour. This report raises an important question: what impact does our demand for cheap fashion have on the 350,000 garment workers in Myanmar, a fragile democracy where labour laws are weak, wages are desperately low, child labour is widespread and garment workers – 90% of them women – are vulnerable to exploitation? 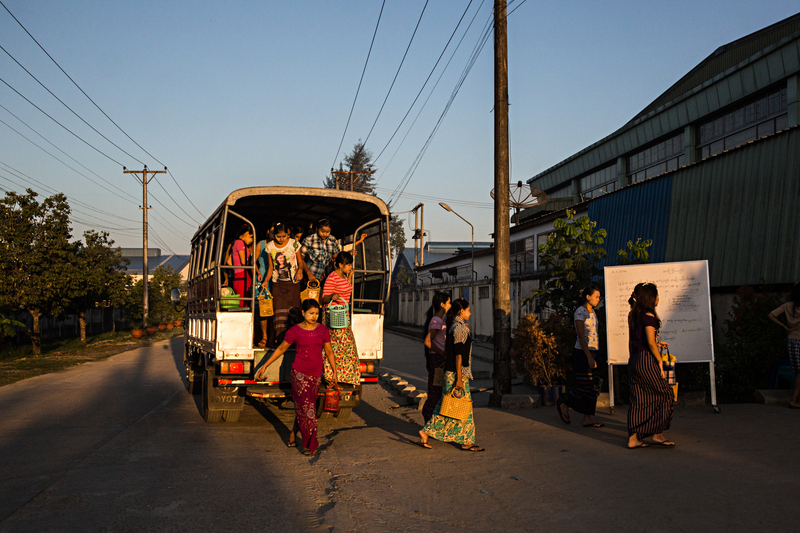 “UK brands sourcing from Myanmar, or looking to do so, must take urgent action to identify risks and prevent human rights violations in their supply chains. We call on companies to disclose details of their supplier factories and measures taken to address such risks. As this important report also recommends, companies sourcing from Myanmar must pro-actively support workers in their rights to organise and join unions. The UK fashion industry has a responsibility to ensure that through their investments in Myanmar, its people are not exploited but are given fair, decent employment and respect for their human rights. Amsterdam, 5 February 2017 – After years of sanctions, trade with Myanmar (formerly Burma) has started to flow. Low wages and favourable trade conditions are luring garment production from the region to this fragile democracy. Big and lesser known European brands are tempted to join in with this ‘race to the bottom’, unhindered by poor working conditions. In a new report, “The Myanmar Dilemma”, the Centre for Research on Multinational Corporations (SOMO) documents in detail how garments made in Myanmar for brands including H&M, C&A and Primark are produced for very low wages. Researchers found that long working hours and child labour are no exception in this industry. In the development of industrial zones, land rights have also been violated. A selection of video and photo footage is available – please contact SOMO or Labour Behind the Label.